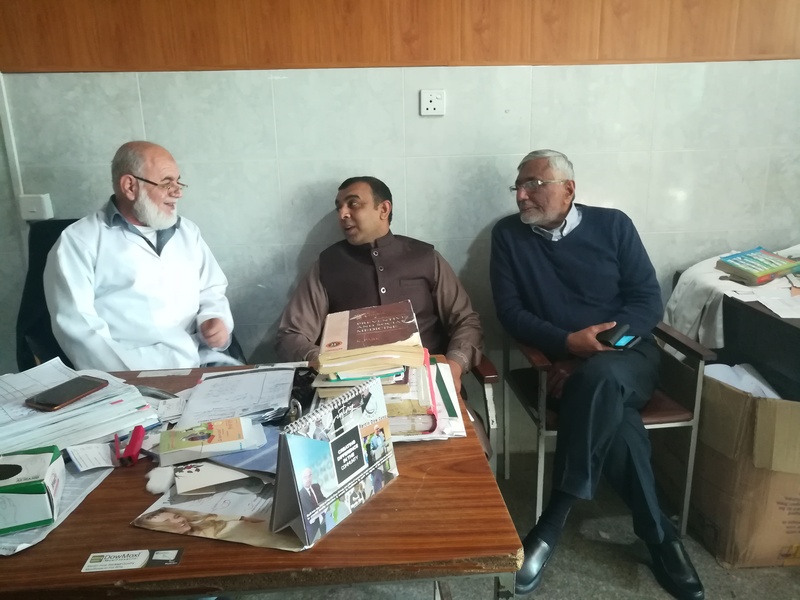 On March 21st 2019, I travelled to Peshawar along with the Chairman and the Manager for a visit to the Lady Reading Hospital there. We set off from Bahria Town, Rawalpindi at 7am, and entered Peshawar around 10am. Peshawar is the capital and the economic hub of Khyber Pakhtunkhwa province. In 2017, the rural population of Peshawar district is 2299037 and the urban population is 1970042, combining a total of 4269079 according to the Census report of Pakistan Bureau of Statistics. It is the city where a Polio field worker, Farah Deba, gets threatened to stop doing her noble work of eradicating Polio virus but still continues to do so for 16 years, resulting into zero Polio cases in her locality. This is the kind of depth that The ZB Foundation is hoping from its Newborn Screening program to leave no baby spared of the simple heel prick test that can save lives. We get most of our samples from there. We have screened around 20,000 babies of Pakistan for Congenital Hypothyroidism to date. The Izzat Ali Shah Hospital of Wah Cantt comes at second in providing us with the most samples year around. Getting the biggest bulk of blood samples coming from the biggest hospital in a city that caters to a huge population is a big achievement for The ZB Foundation. This tertiary care hospital provides access to all socioeconomic levels, which makes it more special for our noble cause. We here at ZB Foundation made our screening services free so that every newborn gets its right regardless of affordability. “Lady Reading Hospital (LRH), the largest government hospital in the province, only has 38 beds and 25 incubators in its nursery wards. The average number of patients admitted to the ward every day is 60. Though there are two to three nurseries in private hospitals in Peshawar, they charge Rs7000 a day which puts them out of reach for many patients. The treatment costs are also significantly higher, due to which middle-class and lower-middle-class families are unable to afford them.” states Dawn news. The urban lives of Islamabad are so full of privilege compared to what I saw there. I wanted to capture everything but was limited by the reactions I feared in the consequence that I would’ve faced by the local people flooding the hospital premises. I saw a hospital vast in dimensions with footpaths so wide that men coming from distant neighboring areas find there resting place there. I saw patient sustenance ward where each of the beds was occupied with additional five members of the family assisting the patients. I saw diligent staff that paid equal respect to their medical practitioners and the patients. On the other side of the picture, I also saw happy medical and nursing students of both the genders enjoying cold beverage at the end of the long day. 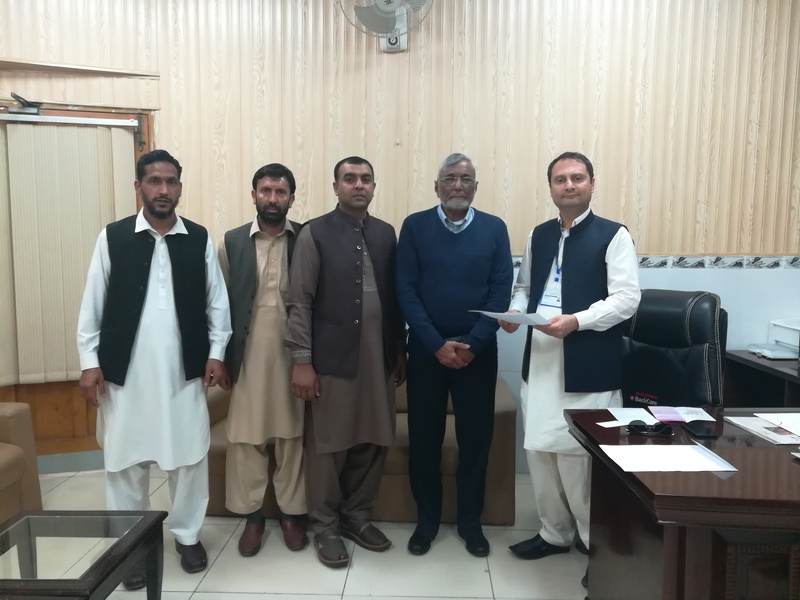 From a generation who knew nothing about Newborn Screening to a generation that studies patients of Inherited Metabolic Disorders to become certified medical practitioners, The ZB Foundation has its message deeply rooted into Peshawar. Let’s just say I was delighted that we made it to Lady Reading Hospital years back, it felt good to be contributing to such place that manages to provide to its attendees what they need.